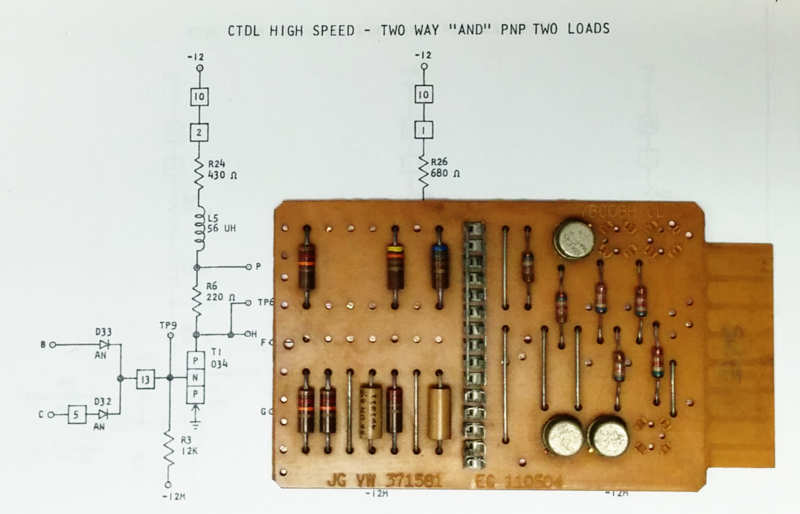 I thought it was interesting that they did use PCBs even then; somehow I had thought that everything was wire wraps and other harnesses back in the day. The use of a generic PCB populated different for several card types (and the fact that they didn't use PCBs for "gate" or mainframe backplanes) speaks to what must have been a very high setup cost for a PCB layout. It looks like these were all 2-layer boards? Hi Dan! 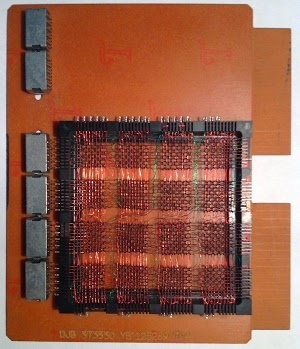 The boards are all 1-layer, i.e. one layer of traces on the back, and components and jumpers on the front. 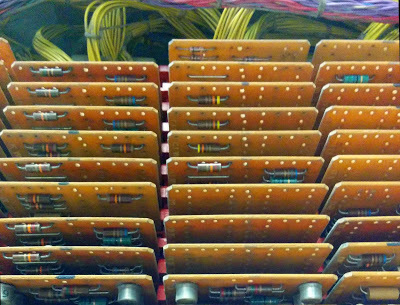 I think the wire-wrapping on the backplanes was used for flexibility. Field engineers would actually move wires around if a user purchased a new feature. Users of the 1401 could buy additional instructions such as comparison, multiplication, or indexing, and the engineer would add more cards and change a few wires. I used to fix these machines. On a 5320, we would upgrade the machine from 9.2 MB to 13.4 MB by moving a wire from one position to another. We also did engineering changes (ECs)by cutting the pin connection and rewiring. It was a great time to be a field service engineer. I should have two or three SLT cards somewhere. Ah, memories of Radio Shack, and the Big Bin o' Boards. If memory serves, RS sold these things with the connectors broken off. I may still have a few, stuck in old coffee cans out in the garage, in varying states of component removal. 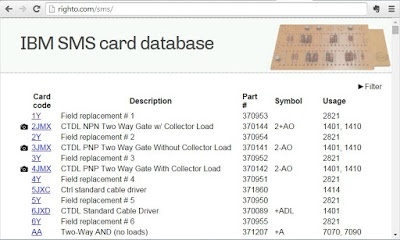 Eric, if you find any SMS cards in your garage that aren't on my list, please send me information and I'll add them. There's actually a lot more SMS gold than that. 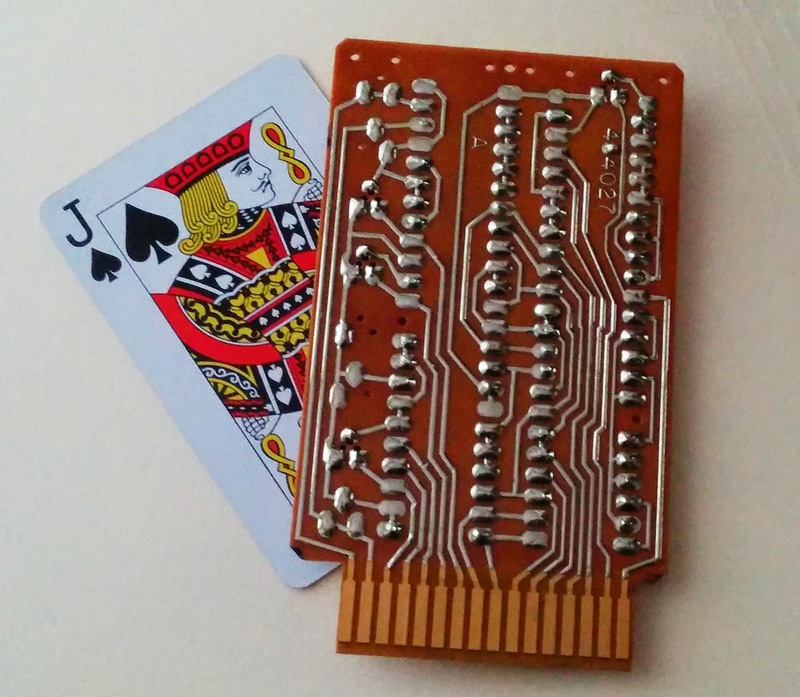 The socket pins also need (and have) gold where the card fingers contact them. But it's not plated, rather it's a tiny solid button. They are not visible unless the socket is broken open. My assessments have varied, but there are about 450 of these dots to 1 gram, though they also contain 10-20% silver. I have over 7000 SMS sockets that I've been dragging around for decades, but after 35 years, I'm finally getting around to recovering the gold in them. 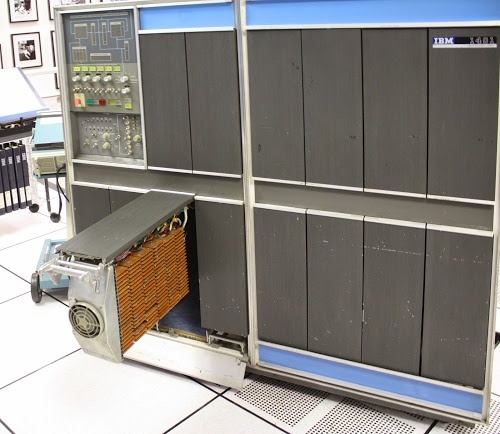 These came from a 1401 and a 7044 that were installed at Melbourne University until the late 1970's. 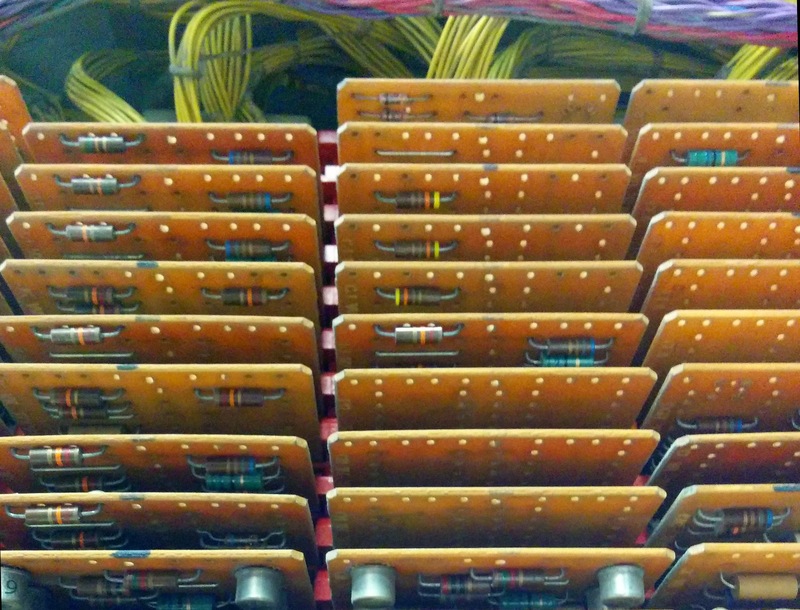 I wrecked the SMS cards for the gold many years ago, but only later appreciated their historic interest, though I did keep the core memory gate of the 1401 intact. [email protected] Galloway, there's also the idea of "isolinear chips" in Star Trek: The Next Generation (e.g., http://en.memory-alpha.wikia.com/wiki/Isolinear_chip) which were often shown in large numbers, arranged in colorfully illuminated banks behind wall panels.